When the community comes together to create better learning environments for students and teachers, we see exceptional results. Results that deliver upon priorities, such as lower energy usage and costs, new technologies, student-centered learning and highly-efficient campus layouts. Because McCarthy’s Education Services team are experts in school construction, we appreciate input and feedback from parents, educators and school district administrators about their school renovation, modernization or new construction project as we get to know the priorities and goals for the project. Through this process, our experts are able to bring options to the table that address challenges and help the school to achieve its goals, while also providing the most cost-effective ways for delivering upon the vision. 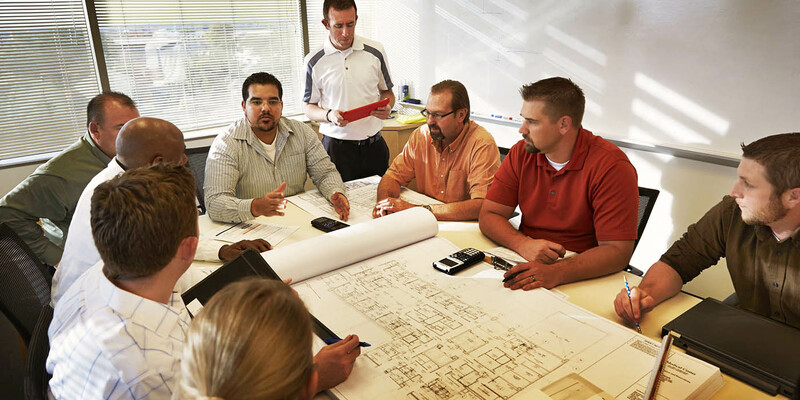 We’re able to employ tools and technology during the pre-construction process that shows stakeholders how each option can work, along with evaluating costs, pros and cons to each option. This helps to ensure that districts are making decisions that are best for their students and teachers. Since this experience is uniquely available to McCarthy clients, we’ve successfully brought some of the most impressive school projects to districts throughout Arizona. Our Education Services team uses tools and strategies that make school construction as seamless as possible for our district partners. We want educators to be able to focus on their priority: providing students with a valuable education. Whether we’re working on an accelerated construction schedule, or building on an active campus, McCarthy goes above and beyond to ensure that construction does not interfere with education. This is possible because our project leaders and teams work closely with our partner districts through every stage of the project, truly building the vision. After building some of the best schools in the Valley and around the state, it is second nature for our education building experts to guide the process and provide solutions that many others have not considered or even thought of before. We love helping districts to be able to deliver their dream school, as cost-efficiently as possible.